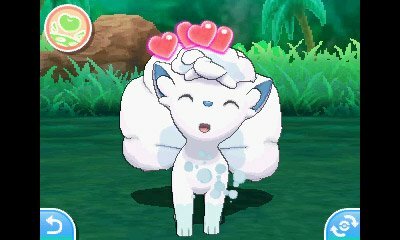 Pokémon Sun and Moon feel like the type of Pokémon games that I should adore. They change up many mechanics that have existed for years, streamline many things, and to polish up the game and fix many of its long standing issues. Now this isn’t to say that I don’t like the game because I actually enjoy it a lot. But I do think it falls short in its quest to ‘fix’ the series. Pokémon Sun and Pokémon Moon are the seventh main line instalments in the Pokémon franchise, and fall on the 20th anniversary of the series as a whole. They release in a year where the Pokémon craze is already at a ludicrous level, following the release of Pokémon Go on mobile devices earlier this year. In fact, the mania was so high that the new games sold over 3.7 million units in the Americas during the first 2 weeks of their release! Sun and Moon are set in the brand new Alola region. 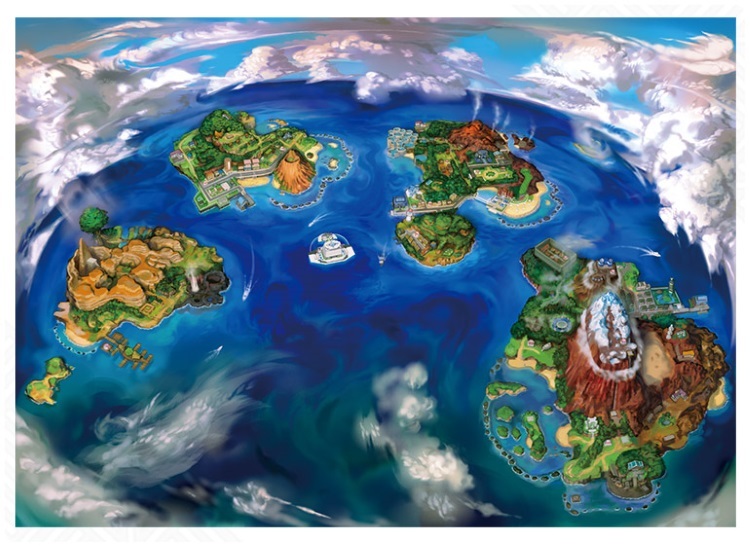 Based on Hawaii, the Alola region consists of 4 central islands that you will progress through during the game. Your quest is to undertake the Island Challenge wherein you go through seven different trials, as well as 4 ‘Grand Trials’. These take the place of gyms from the previous games, but function a little differently. Trials are one of the more obvious changes between these games and the previous entries in the series. Trials replace gyms, which have been a mainstay since the birth of the franchise and have always had a rigid, unchanging structure. Each gym was typically themed around a certain Pokémon type and bound to a city. They all came with their own gimmick or puzzle, as well as trainers to fight within. Trials however are natural parts of the terrain and not simply buildings in a city (which is needed because there aren’t many ‘towns’ in Sun/Moon). One trial will have you navigating a forest, while another one has you surfing across lakes. During a trial, you will have to complete tasks set for you by the Trial Captain. If you finish the tasks given then you are faced with a special Totem Pokémon: a powerful foe with a boost to their stats, as well as the ability to call in an ally through the new SOS system. These guys are tough, and had me close to the brink a few times. I was playing the game without the Exp. Share (returning with the feature to give experience to your entire party) and didn’t really find myself grinding too much, meaning I was fairly close or even below the level of the Totem Pokémon for my battles. This difficulty was great! So many recent Pokémon games have been a breeze to get through and the threat of whiting out was there for once, causing me to have to really think about some of my moves and the best way to succeed. Trials aren’t all great however and have some major problems. Very soon into the game I noticed that they all follow the exact same pattern, barely changing at all. For each trial you get 3 tasks which typically involve finding something and pressing A on it. Each time you do this you fight a normal wild Pokémon, and move onto the next task. This is the same for all of the trials apart from 1 or 2, but even those follow the same structure they just have more interesting tasks before the wild battles. If Trials were meant to be a replacement for Gyms, then they failed because these are far less interesting and engaging. Gyms were never this predictable and similar to each other and as much as I enjoyed the Totem fights I found my time in the trials to ultimately just be rather bland. And then you have the Grand Trials. Finishing all the trials on a given island will then allow you to face off against the island Kahuna…who is basically a gym leader. They are easy as easy comes and feel exactly like a gym leader we would have had in a previous game. Trials had plenty of potential and in the end didn’t live up to any of it, resulting in what feels like a downgrade. Now I have touched upon a few of the changes to the battle system, but there are several that are worth mentioning. First I would like to praise the new battle UI. It’s clean and functional and offers plenty of useful features, like being able to easily see the moves of your allies along with whether or not they are super effective against your opponent. A new ‘ball’ button has been added to the upper left of your touch screen for easy catching, and the bag menus have been readjusted to allow you to see what you have at a glance. When it comes to the mechanics and how fights play out well not much has changed. 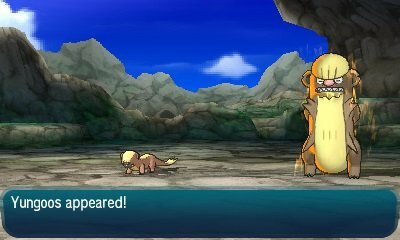 A slew of new abilities and moves have been introduced, a new Z-Move feature was added, and horde battles have been removed and replaced with the aforementioned SOS battles. Any Pokémon can start an SOS battle the only requirement is for them to successfully call on an ally. To increase the chances of this you can lower its health or use certain items, however inflicting a status condition will stop the Pokémon from calling for help. There are various benefits to this, but the main one you will notice in your play is that there are certain Pokémon exclusive to SOS battles. For instance, you can find a certain Dragon type on the first island: Melemele. 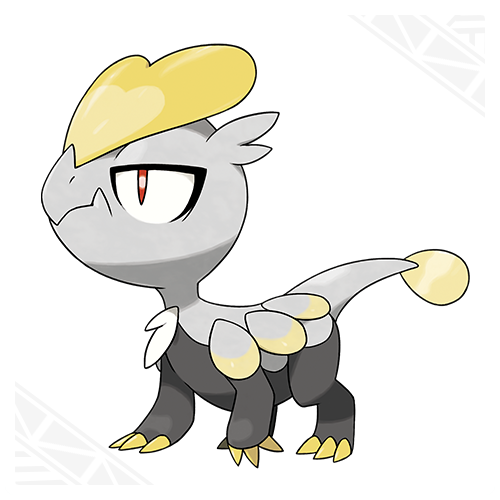 Typically, the final evolution for this Pokémon takes into the late 50s – early 60s to evolve but using SOS battles you can get it at a lower level early on. This gives you a massive advantage but only if you put in the time. The problem with locking certain Pokémon behind this though is it relies even more on random chance. Some very rare Pokémon are only obtainable through being called during a battle with another very rare Pokémon, and because you can still only catch one Pokémon it can get tiresome. It’s frustrating to have so many of the new Pokémon locked behind these layers of randomness, and it makes hunting them down take much longer than I think it should. SOS battles are also much less interesting than Horde battles to me. Ultimately they boil down to random chance and hoping the game doesn’t roll you a 1 just to mess with you, meanwhile popping a completely unnecessary message up on the screen to tell you they didn’t call a partner. I don’t hate SOS battles and I like them more than I did at first, but I don’t think they are a good replacement for Horde battles. Last generation a new mechanic was introduced with Mega Evolutions: new powerful forms for your Pokémon. Sun and Moon have opted to not focus on this and instead have given us no new Megas. Instead we were given Z-Moves, powerful attacks with an equally lengthy animation. Each of the 18 types has an exclusive move called their Z-Move which can be activated once per battle to inflict massive damage, at least they can if they are holding the relevant Z-Crystal and a move of the same type. The big kicker is with the Z-Status Moves and what they can add to the meta. While a Z-Crystal will turn an attacking move into an even stronger attacking move, they turn status moves into either a more powerful version of the status or a whole new move entirely. Z-Splash for instance will boost your attack by 3 stages, while Z-Memento completely restores the HP of the Pokémon you switch to. Right now most of these are just stat-ups which while cool, means most of them serve a similar function. But the fact that Splash is now a viable move to be used is just hilarious, and this could mean a lot of other mediocre moves in the future could be given an indirect buff through Z-Moves. That is if Game Freak doesn’t drop it in the next generation like they did Mega Evolutions which is the biggest shame of this generation. Sun and Moon have added 79 new Pokémon, so like XY they are starting to slow down on the amount of Pokémon they add. This wouldn’t be that bad if more of the new Pokémon weren’t incredibly rare, which ends up having the effect of you seeing the same Pokémon all the time and never the new ones. This is a problem previous generations have had but it feels worse here because of Alolan Forms. 18 new forms have been given to older Generation 1 Pokémon, that give them a different typing and look. The game loves showing these off so you’ll encounter them all the time and it’s annoying because they aren’t new Pokémon. They don’t have the same charm as running across an entirely new Pokémon because these still look like the original. Not to mention I feel like it’s yet another instance of Nintendo saying ‘Generation I was the best, look at all these Pokémon you remember’ which happens far too often. Also how exactly are ‘Alolan’ forms going to work in the new ‘Straya’ region? Do we just never see them again? They seem like a waste of time, especially seeing as some of these could have easily been a Mega Evolution. The actual new Pokémon are great though, with some of the best looking starters since Generation IV. We have a few that are a bit funny looking but every generation has those. It more than makes up for it with Pokémon like Salazzle and Toxapex, two poison types with fantastic abilities that promote new strategies for battle. Only issue I have with the selection of new recruits though is that at times it felt like we were approaching Generation IV levels of Legendaries, with almost 20 of them. There is a lot of interesting things added with Sun and Moon, so much so that I could talk about them at length for hours. Pokémon Amie returns, renamed to Pokémon Refresh and is mostly the same but with a few additions. The PSS has been replaced with the Festival Plaza which is cumbersome and ends up adding things to a system that didn't need them. Poké Pelago allows you grow berries with great speed, as well as EV train and hunt for items. It’s a nice distraction that you can set up and check back on the next day to pick up items and check on that I had a fair bit of fun with. In terms of post-game, it has about as much as XY did; with a few legendaries to catch, a short but good side story, the usual Battle Tower, and your quest to finish the Alolan Pokédex. I said in my review of Pokémon X and Y that I was looking forward to change in the Pokémon franchise, and to a degree I still am. I still have confidence that Game Freak are trying to improve the games with each iteration while still making interesting new designs. But I don’t think that Sun and Moon showed their best and I think the changes made were less meaningful than they appear on first glance and not executed very well. 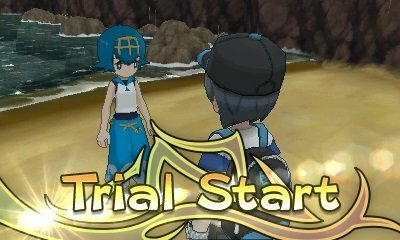 Trials were an interesting idea, but half-baked and a simplified version of gyms, that offered little variance or variety. Alolan forms similarly seemed to be something added to spice up older designs but focused entirely on the first generation and weren’t used to their fullest. Previously introduced features or mechanics like Megas were seemingly dropped entirely, with some not even being included in the game. Sun and Moon are not bad games and aren’t even the worst Pokémon games out there. But this is the first time in a long time where I felt genuinely disappointed in what a Pokémon game has to offer me in terms of not only content but also quality. I just hope that this does not continue to be a trend. However, I do hold the opinion that this is a good Pokémon game to get into Pokémon with, especially if you were looking for even the slightest bit of change in the tired formula. Now I think I have a Living Dex that needs a little more filling out, and a team that needs to be thoroughly trained. It is interesting to think about what will happen to the Alola forms when we move on from here, but regardless of that I actually REALLY like them. Many took me by surprise is a great way. Perhaps the next region will have special forms of the second generation. A Dark/Ghost Togepi perhaps? 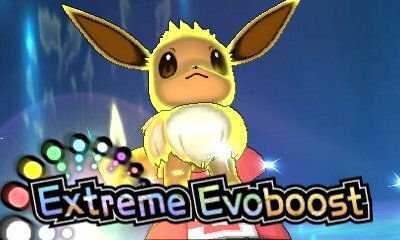 Secondly, it is important to mention that Mega Evolution still exists in this game. You even receive a stone from some NPCs toward the end of the main story. It's just kinda brushed aside, unfortunately. I will say that I prefer Z-moves to Mega Evolutions though. They just seem more strategic. I still have to hit the Battle Tree. I got there and did the initial battle against Red/Blue (I chose Red), but haven't booted the game up since. I think the new Pokebank update will draw me back. I heard one idea for Alola forms is that to get Alola forms in the next generation you'll have to breed a Pokemon with a form while it holds a Strange Souvenir. Which is a logical way to do it because if a non Alolan form Pokemon that has a form breeds with an Everstone it doesn't change to the regional form. I'm down for more Alolan forms but I felt like some of this generation could have easily been Mega Evolutions and I don't want either of them to harm the prospects of having more of the others. Exeggutor, Marowak, and Raichu are great examples of Pokemon that with maybe a little more flair added to them could have been megas. Yes they do still exist, but only some. There are some mega stones that are completely unavailable in Sun and Moon which is rubbish. Interesting that you think Z-Moves are more strategic though, would be curious as to your reasons? I like megas more because it drastically changes how you would build that Pokemon in some circumstances as well as giving some Pokemon like Kangaskhan a big buff to their viability. I have done a little of the Battle Tree, but was waiting to finish the Dex til I got deep into breeding a good team up to go and wreck face. Never finished the Battle Tower before and I am determined to do it this generation for some reason. Might even go back and play some XY too, or even some earlier games. I haven't played much Gen 6 or 7 (I'll totally get Stars when it comes out), but in theory I think the Alolan forms are cooler than the Mega Evolutions. The new forms feel a little more true to the original designs and vision for the older Pokemon, whereas the Mega Evolutions just make me think, "Oh, so Charizard isn't the strongest one in his lineage anymore :("
One wonders why they didn't just set this in the Orange Islands. Here's something that dawned on me this morning: would completing the Pokedex without using EXP share be a fun way to play? Being forced to actually battle with this diverse set of Pokemon would really change the game up from just mindlessly grinding with your Level 100 Charizard.